Two of the non-regent members of the special independent Governance Review Task Force--Douglas Y. Bech, BA '67, CEO and owner of Raintree Resorts, and Task Force Chair Gregory D. Brenneman--meet with media after the February Board meeting. The Baylor Board of Regents adopted new bylaws at their February meeting that will improve University governance by increasing diversity among the Regents, provide voting privileges to a second-term student Regent and give the public a more complete view of Board operations and decisions. Chair Ron Murff praised the changes, which were based on recommendations by a special independent Governance Review Task Force, as important steps to ensure that Board policies and procedures reflect best practices. “Combined with the changes we’ve already made, these actions today will make Baylor’s governance model one of the most responsive and transparent of any major private university,” Murff said. Gregory D. Brenneman, executive chair of CCMP Capital and chair of the six-member Governance Review Task Force, said he and his colleagues were gratified by the Board’s actions. The Governance Task Force formulated its recommendations after studying Baylor’s governing documents and reviewing best-practices literature from such groups as the Association of Governing Boards of Universities and Colleges and the American Bar Association. 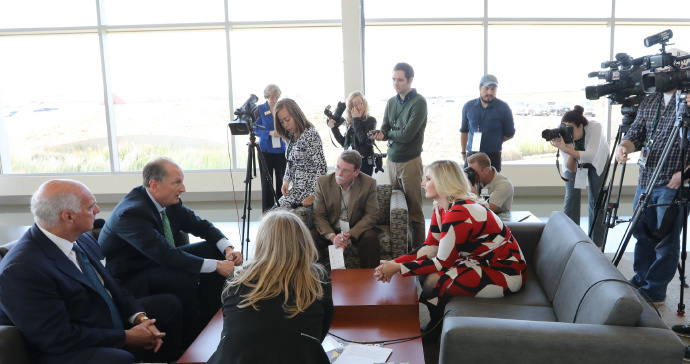 The task force also interviewed a cross-section of Baylor slumni and other stakeholders and consulted other institutions that underwent their own governance reviews. Making diversity a stated priority in selecting future Regents. The emphasis will not only be on racial and ethnic diversity, but on bringing in accomplished people of various professional backgrounds from the arts, sciences, technology, communications and higher education. Expand the Regent nomination process to include candidates identified and reviewed by a new Selection Task Force, half of whose members will consist of non-regents such as distinguished alumni and friends of the University. Strengthen alumni and faculty participation on the Board. The number of faculty Regents will increase from one to two, and both will enjoy full voting rights. In addition, voting rights also will be extended to Regents from the Baylor Bear Foundation and “B” Association. Establish voting privileges for a second-term student Regent. Complete an internal 360-review of each Regent before he or she can be reappointed to another three-year term. Expand the Board’s Executive Committee from eight to as many as 15 members, and increase the number of Board committees from five to eight. Establish an Annual Regents Fund for the Board to lead the way in general fundraising for the University. Create a fulltime position of Secretary to the Board, who will oversee the new website and serve as Board historian. Form a group of Regent Emeriti consisting of former Board members, and possible extension of voting rights to the chair of the emeriti group. The Governance Task Force considered but ultimately recommended against having the Board conduct open meetings. The Board also implemented another major Governance Task Force recommendation by launching a dedicated Regents website. The website features member biographies, committee assignments, copies of the University’s governing documents, agendas for upcoming meetings and an email address for the public to send comments and suggestions directly to the Board.